Celtis japonica, Ulms pauifolia and Zekova serrata all belong to the Ulmaceae Family. Celtis japonica grows widely in East Asia area, north from Honshu, Shikoku, Kyushu of Japan, south to Taiwan, and west to Southern China. Celtis japonica is classified as deciduous tree specie, it can be cultivated in many different zones. Such as the temperate zone, tropical and the subtropics. It is one of very popular bonsai species in South East Asia. It is even on the cover of the 80th Kokufu Ten commemorative book. 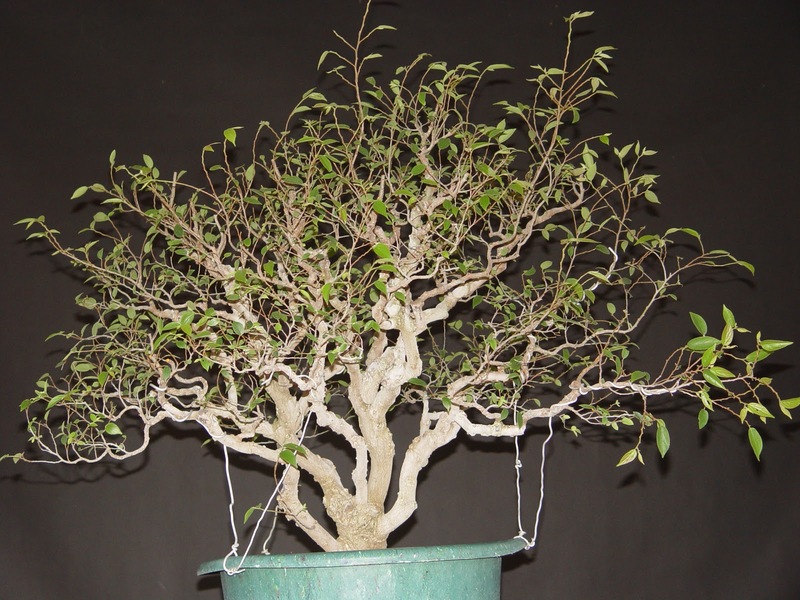 Celtis bonsai has only been cultivated in Taiwan for about 50years. 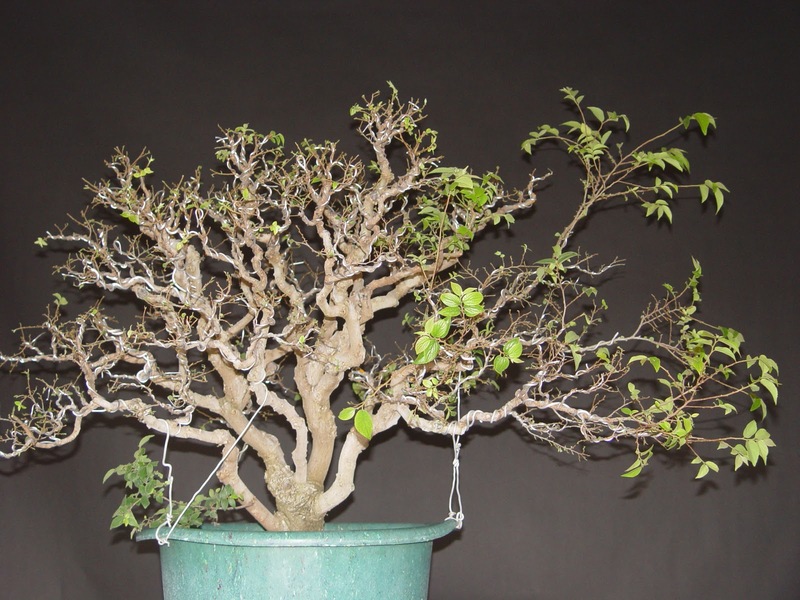 Although the history of growing celtis as bonsai is far less than that of Ficus (300years), but there are many top quality celtis bonsai in Taiwan. 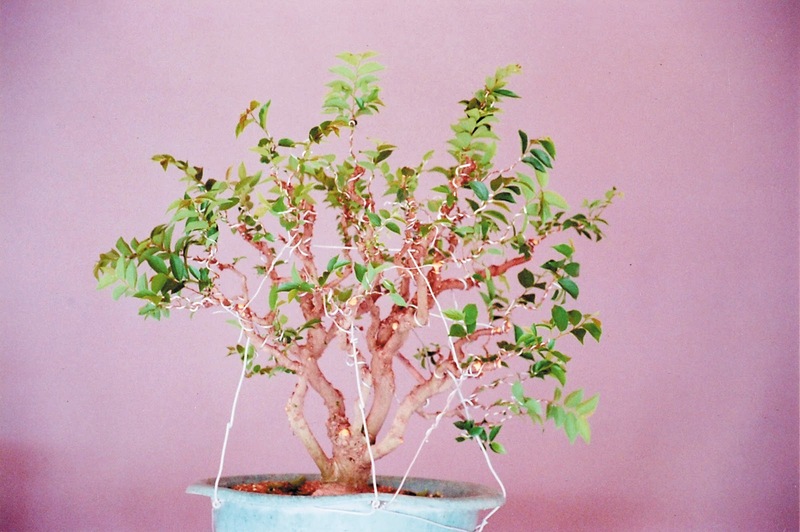 In order to become a recognized bonsai master in Taiwan, you must learn how to cultivate celtis. 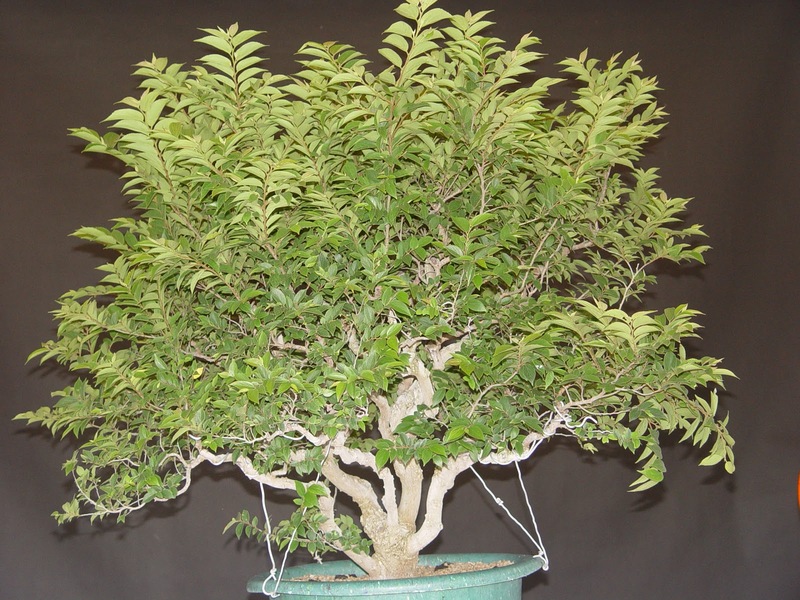 Celtis , Ficus and Taiwanese Juniper are three most representative bonsai species in Taiwan. And, celtis is the king of deciduous tree among them, since celtis is the only one has seasonal change. The style of celtis bonsai has been evolved as fast as the development of Taiwanese bonsai. 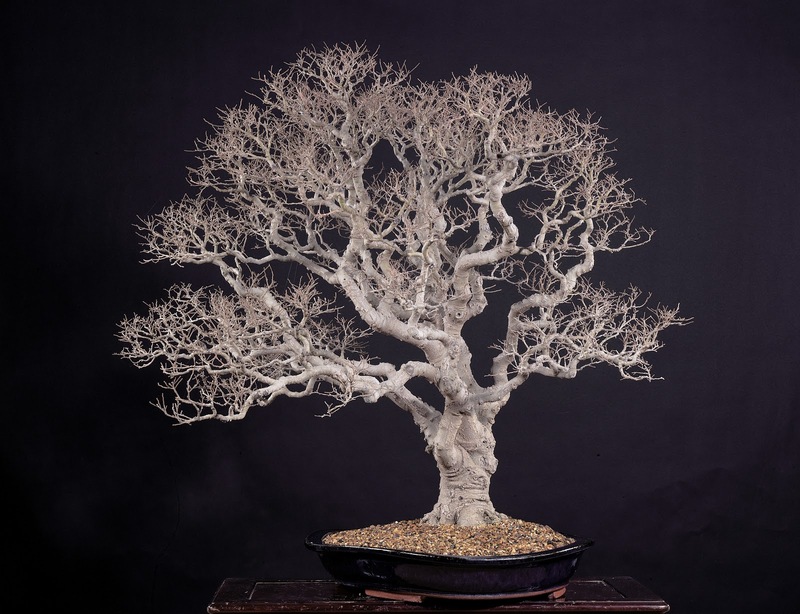 The early style of cltis bonsai in Taiwan was very standard and traditional, most of celtis bonsai were the replicas of some famous pine or sazuki style bonsai in Japan. 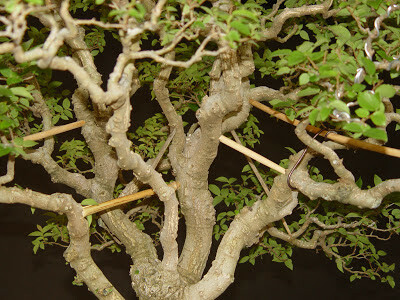 The main focus characteristics were the amount of fine twigs, small braches and ramification of the bonsai. Celtis bonsai had the most small twigs and branches were recognized as masterpiece. 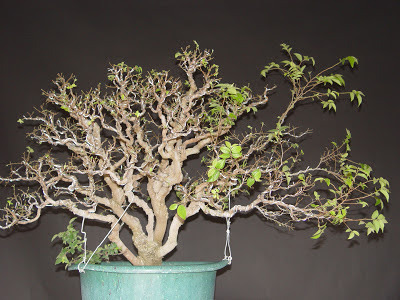 Bonsai enthusiasts had ignored the nature beauty of the celtis bonsai. After many years of trying and searching, we have finally found the inspiration and teacher. There is a celtis forest located at Xinzhu County of Taiwan. 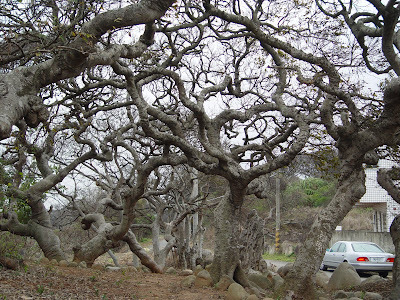 There are celtis trees that are more than 300 years old. 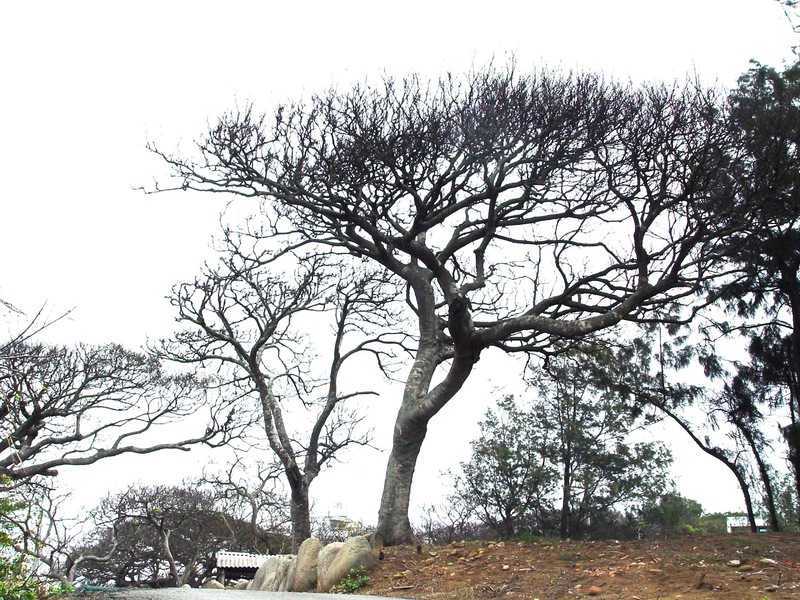 These trees are the true inspiration for the celtis bonsai creation. Those celtis trees show in Picture S1 are approximately 30 - 50 years young trees. The trunks of these young celis are straight with less trunk movement and their barks are smooth. The overall impression of these trees is elegant but does not have the characteristics of old, ancient tree. These trees are not our inspiration. In the left side of picture S2, there are some three hundred years old celtis. The trunk lines of these old celtis move and twist in all directions, they truly show the spirit of an ancient old tree. When comparing this old giant with these young trees in the right side of picture S2, it is obvious to know which tree should be our teacher and inspiration. The spirit of bonsai art is to create trees with characteristics that surpass the limit of time and space. We want to create bonsai shown all elements of an ancient old tree. 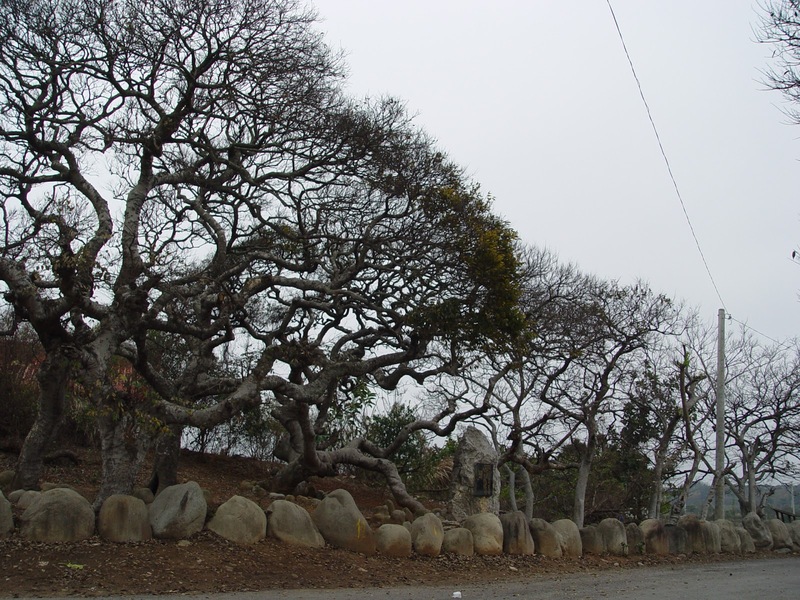 In pictures S3 and S4, these are the characteristics of the ancient old trees. , this is where we draw our inspiration from nature. When I traveled to the west coast of United States couple years ago, I saw some big old oaks with twisted trunks similar to the old celtis in pictures S3 and S4. 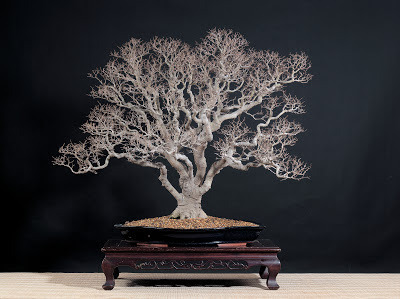 Maybe one can create Celtis is bonsai with characteristics like an ancient old Oak or vice versa. S1: Young celtis in Xinzhu County of Taiwan. About 40 years old. S2: Celtis forest in Xinzhu County of Taiwan. 300 years old twisted trunk celtis and young straight trunk celtis. S3: Detail view of 300 years old celtis. S4: Detail view of 300 years old celtis. 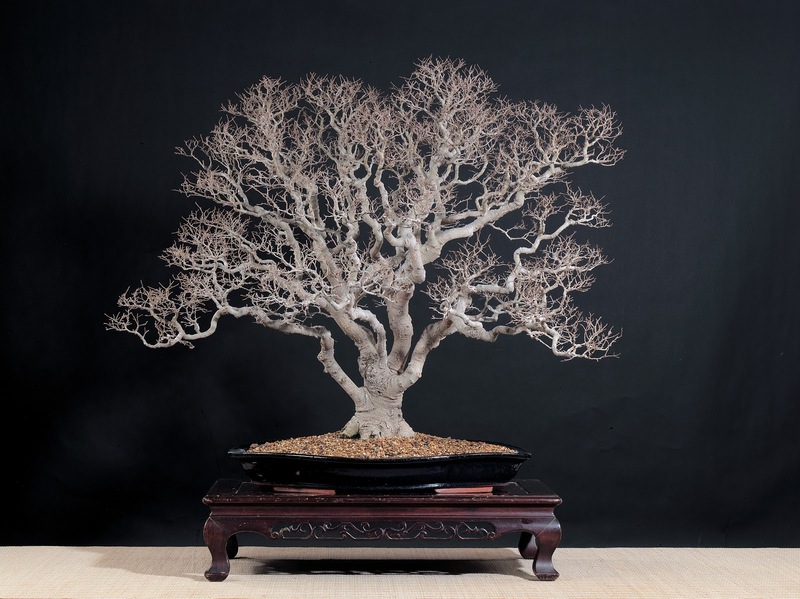 The main characteristics of Celtis bonsai are similar to different style of Chinese calligraphy. The root base is steady and strong like formal style. 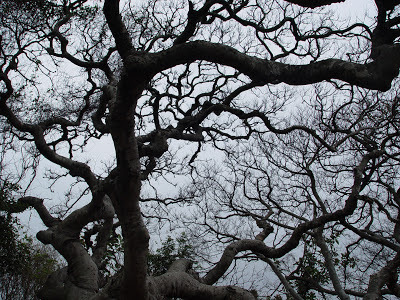 The branches should twisted and turn in all directions like cursive style. The fine twigs are neat with distinction like printing style. I think most of bonsai friends probably are not used to see celtis bonsai in this kind of design at first. The first impression will be messy because trunks and braches are everywhere. 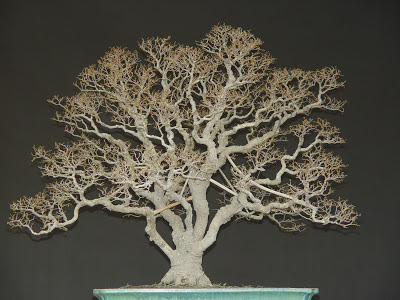 And the silhouette is not triangular shape as we see at most of traditional bonsai style. However, if you look at this bonsai in more detail and study the trunk lines and braches structure. 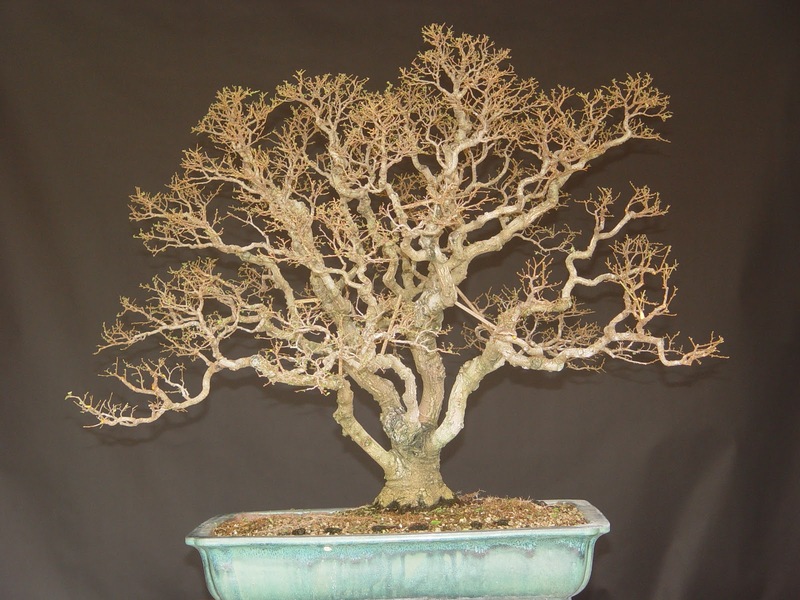 You will see the beauty of this great celtis bonsai. 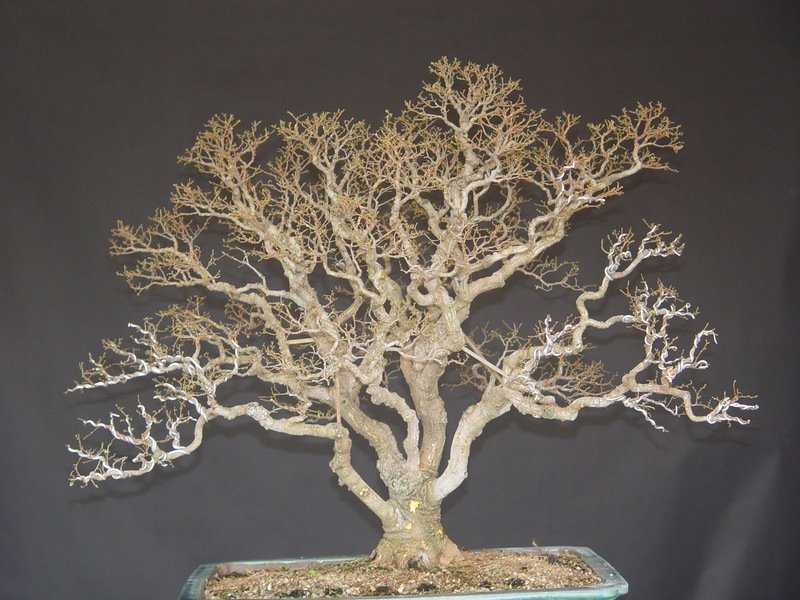 Let us analyze the design of this bonsai. Starting from the main trunk, there are five different size trunks grown in different directions and move gracefully. These trunks are everywhere, but they compromise each other, the overall design is very similar to the wild celtis trees shown in picture S3 and S4. Comparing this bonsai with these old celtis trees shown in pictures S3 and S4, you will see the message that the artist wants to convey. 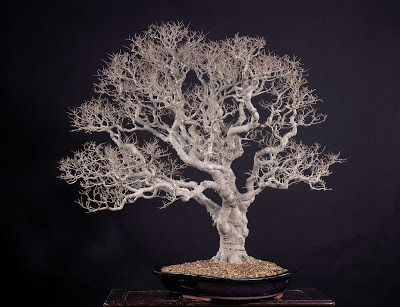 A true bonsai is like an ancient old tree grown only in the fairy tale, not like the tree that you can see at the park. The silhouette of this bonsai is very unique. 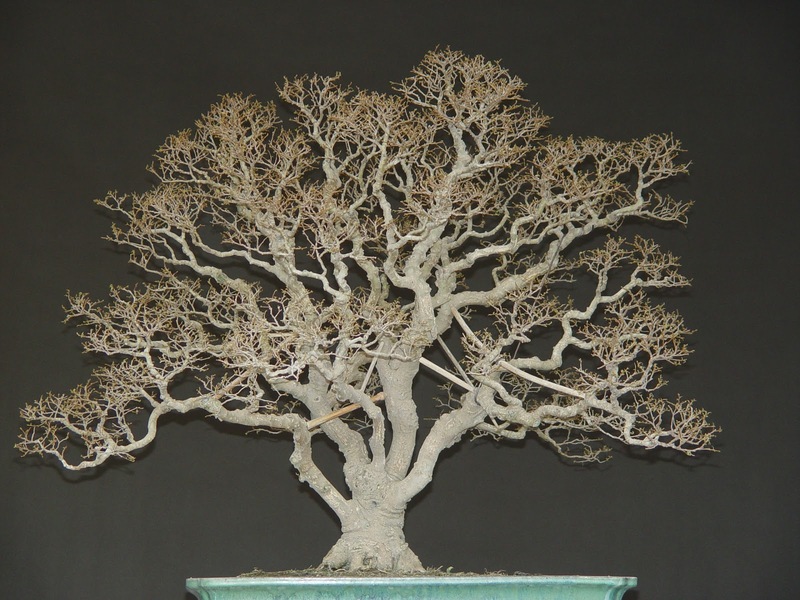 The silhouette of Most of bonsai is triangular shape, but the silhouette of this celtis bonsai has many crowns like clouds in the sky. 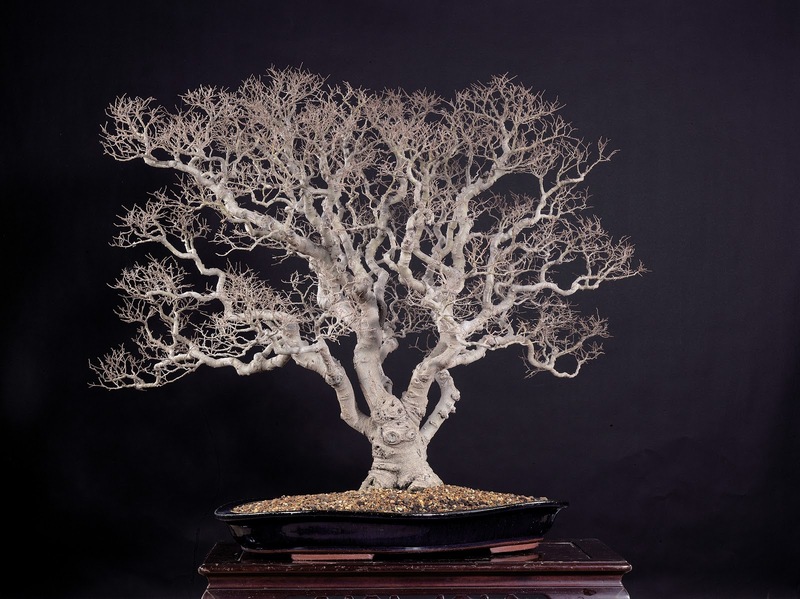 If each crown represents one tree, then this bonsai is like the image of a forest. Early Spring of 2007 Front view. Seedling of celtis is very easy to obtain in the wild or nursery. However, most of seedling has fine branches die-back and poor branch ramification problem. The best celtis material is from the root cutting of celtis trees with good ramification and well branch development. Celtis basically grows in all kind of soil, but to prevent fine branch die-back. It is best to plant celtis in 70% Akadama and 30% mountain sand. Wiring and styling can be done when the new leaves are harden on May. If the tree is in good condition, celtis can be defoliated twice or third a year. The first in May when leaves turn dark green , second and third defoliation can be performed on early July and September in Taiwan. 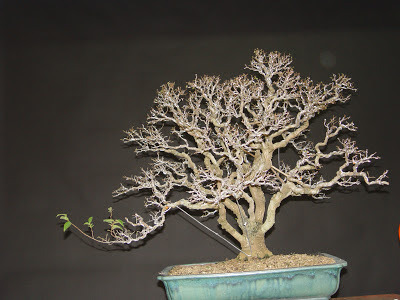 Celtis in Taiwan starts its dormancy around November and sprouts new shoots at beginning of February. Seven to ten days after the defoliation, new leaves will start to grow. Wiring is very effective way to train celtis. Fungal disease is the primary disease for celtis. After long rainy season, it is very important to spray fungicide to prevent fungal infection. Scale insect is another common disease for celtis. You normally will see scale insects appear during the hot and humid summer season. Once you find scale insect on your tree, brushing them off and apply insecticide to prevent further damage. 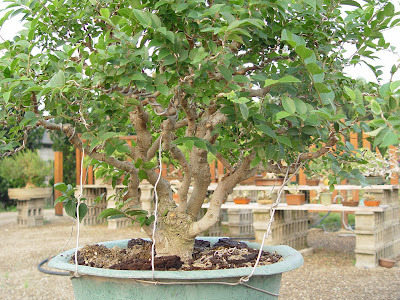 Celtis grows very fast, it is recommended to repot specimen bonsai annually. Trees in training can be repotted every two to three years. Early Spring is the time to repot celtis. Once the leaf buds are swollen, you can repot your celtis in confidence. Summer of 1998, First styling after harvest from my nursery in early spring. Summer of 2001. Branches styled by guy wires and some wiring. Spring of 2002, tree grew well. Tree top grew too strong, suppress was done to balance the overall growth. 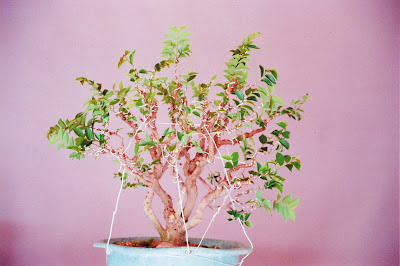 Summer of 2002, top branches were pruned to balance the growth. Summer of 2003, wiring the whole tree. Suppressing the top growth, let lower branches grew freely to balance the overall growth. Summer of 2004, styling by wire. Winter of 2004, removing training wire. Spring of 2005, more training still required for the lower portion of the tree. Summer of 2006, finally looks like bonsai. Summer of 2006, using bamboo sticks and chopsticks to adjust the spaces between trunks.